Octavia getting married is no surprise - she's done it three times before - but her candidate for hubby #4 certainly is. Roland Lester is a reclusive eighty-three-year-old retired Hollywood director, a relic from the golden age of Tinseltown with a controversial past. No one can understand how the two met, much less fell in love. When the bodies start to drop, Jane realizes it might not be love at all that brought the young diva and the aged director together, but something much deeper, and perhaps more sinister. 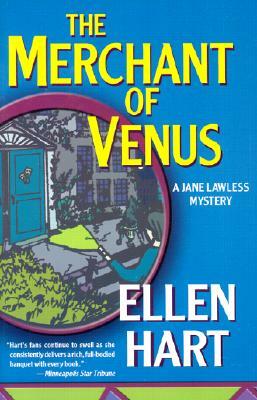 Ellen Hart, six-time Lambda Award winner and two-time Minnesota Book Award winner, is the author of nine previous Jane Lawless mysteries and the Sophie Greenway mystery series. "Entertainment Weekly" magazine recently called her one of the "top novelists in the cultishly popular gay mystery genre." She lives in Minneapolis.